We like keeping in touch - so here's how to do it. . .
'Like' the club and see events, photos and updates on our Facebook page as we progress throughout the year! To view the latest Clyde Valley HOG pics from events and rideouts, just click the icon or link and it will take you to our Flickr account. Plenty of photographs on there to keep you occupied! 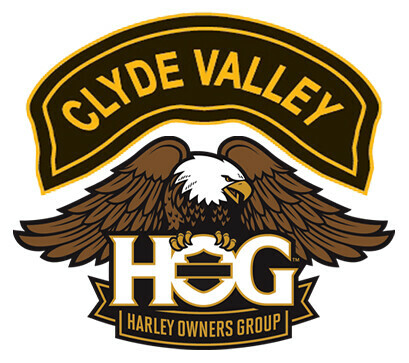 Stay connected to Clyde Valley HOG via our social media channels. Find us on facebook, twitter and Flickr. Check out our new Podcast.